This traditional wardrobe staple is the definition of comfort, and now better looking than ever with your choice of custom logo designs and decorations. 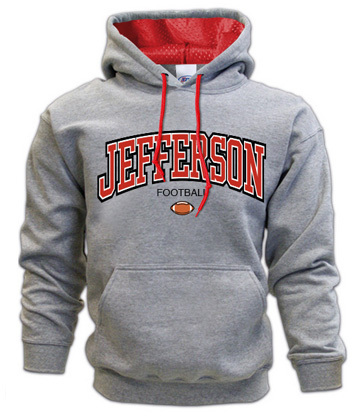 Our fleece can be personalized from top to bottom, with 14 different color options available for the hood lining and drawstrings and numerous text styles and layout choices for full front decoration. Available in grey or black, our hoodies are made from a cotton/polyester Heavy Blend™ to handle the most active lifestyles. Standard upcharge applies for contrasting hood lining and drawstrings.